Our staff at Justifacts has been so impressed with the great questions that our clients and visitors come up with, that we decided it was time for a Frequently Asked Questions post. For this blog, we didn’t want to just make up our own questions and answer them. Rather, answer the real questions that we are most often asked. In order to do this, we explored deep into our website analytics and pulled a list of the most common questions visitors are asking when searching our site. We hope that you find the questions useful and our answers informative! Q: Which States have a criminal state repository? A: Most states have a central repository they use to track known criminals. Typically, these repositories are run by the State Police or the Department of Public Safety in a particular state. Each has its own requirements for the availability of records as well as what type of information is released. In general, statewide criminal repositories obtain records from the counties and are dependent upon the courts in each county to forward case information in a timely and complete manner. Due to this reliance upon the counties to forward information, state repository records may not be complete or accurate. Q: How long does a background check take with Justifacts? A: Justifacts’ normal turnaround time to process background searches is 24-72 hours. Q: What should an applicant expect from a Justifacts background check? A: An applicant can rest assured that Justifacts will provide a professional, thorough background check. We are diligent in protecting your privacy and will only share information with your employer. A verification specialist may have to contact you if additional information is needed to complete your background check. If that is the case, you count on us to work with you in a helpful and courteous manner. Q: Can Justifacts verify a high school diploma? A: Absolutely, Justifacts can verify a high school diploma. Our degree verification process includes the authentication of high school diplomas, GED’s, trade certificates, and post-secondary degrees. Justifacts confirms the candidate’s dates of attendance and the type of degree that was earned. Q: Can you randomly have employees fill out a new I-9 Form? A: No, the Form I-9 is to be completed by all new employees within three days of hire date. To clarify, there are some occasions where a new I-9 form can be completed, including but not limited to, rehire with the same employer and significant change in personal information. Q: Does the State of Pennsylvania require E-Verify? A: The State of Pennsylvania only requires public works state contractors and subcontractors to enroll and use E-Verify. For more information on Pennsylvania, E-Verify laws view our blog post: Understanding E-Verify Laws and Their Affect On Pennsylvania Businesses. Q: Does the state of West Virginia require E-Verify? A: Currently, the State of West Virginia does not have a state-wide E-Verify requirement. The states that do have some form of E-Verify requirement are Alabama, Arizona, Colorado, Florida, Georgia, Idaho, Illinois, Louisiana, Minnesota, Missouri, Nebraska, North Carolina, Oklahoma, Pennsylvania, Rhode Island, South Carolina, Tennessee, Utah, and Virginia. Q: Can you provide an example of an employment background check from Justifacts? A: Justifacts does provide the opportunity to view a sample report. Click here to view our Sample Report. Q: How far back do Justifacts background checks go? A: A Justifacts’ background check typically goes back five to seven years. Q: Why am I getting a call from Justifacts Credential Verification? A: Justifacts is a pre-employment background screening service that provides accurate, cost-effective, comprehensive background screening services to corporations, non-profits, healthcare providers, and educational institutions. There are several reasons that an individual would potentially receive a phone call from Justifacts. One possible reason may be that a work colleague has listed you as a professional reference. Also, we certainly appreciate you returning our phone calls as quickly as possible. We understand your time is important and you can count on our verification specialists to conduct all interviews in a professional, efficient and respectful manner. Q: What are the benefits and costs of a unified court record search? A: The implementation of unified court systems has presented an opportunity for Justifacts to provide a comprehensive, statewide criminal record search in a timely, cost-effective manner. This search contains the most up to date criminal information available and can be considered the best option for a court record search in those states utilizing a unified system. If you are interested in more information about unified court record searches and would like pricing information, please contact Justifacts. 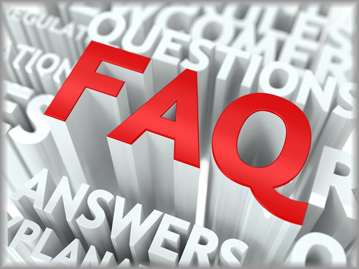 Click here for more Frequently Asked Questions or feel free to be part of our Frequently Asked Questions by commenting on this blog or contacting a salesperson at Justifacts. We love hearing from you!